Eastern Florida State College will host a MYTechHire recruiting event on Saturday, January 26 from 10 a.m. to 1 p.m. on its Palm Bay Campus in Building 1 Room 306. 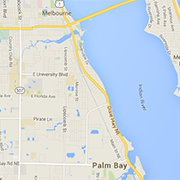 The Palm Bay Campus is located at 250 Community College Parkway, Palm Bay, Florida 32909. This event is especially designed for individuals who are unemployed or underemployed and who are interested in a career in Information Technology or Advanced Manufacturing. Training classes currently offered include CompTIA A+, Network+, Security+, Business Computer Skills (Microsoft Office), and J-Standard Soldering. All training, course materials and certification exams are provided by the TechHire grant and are provided free of charge to participants. MyTechHire is part of a national study to test if offering individuals skills training and extra support services to help them to complete training and find employment in middle-high skills jobs. Eligible candidates will be chosen by a computerized, random selection process. For more information, visit online at easternflorida.edu/go/techhire or call Barbara Eyer at (321) 433-7410 or Phillip O’Meally at (321) 433-5146.